It’s no secret that patient identification is a challenge, but unfortunately, a frightening number of “wrong patient, right procedure” mix-ups still occur every day in hospitals and health systems around the country. For example, an article published on bostonglobe.com highlighted a case at UMass Memorial Medical Center where a patient was mistakenly diagnosed with cancer and underwent unneeded medical procedures before hospital staff discovered a mix-up with the patient’s CT scan results. And, according to the article, this is far from an isolated case of mistaken patient identity at this hospital. The good news is that there are tools that can help hospitals and health systems prevent such dangerous mistakes. 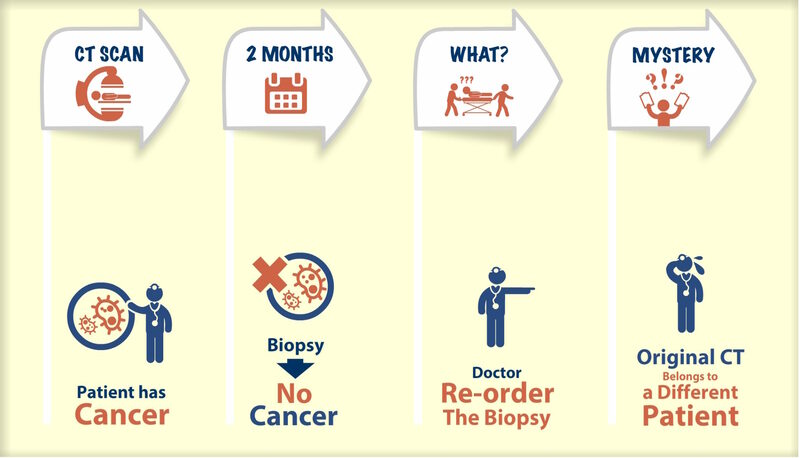 The RightPatient® Cloud, for example, is designed to prevent mix-ups and cases of mistaken identity by streamlining patient identification procedures and reducing the risk of human error—all while dramatically increasing the chances that that the right patient receives the right treatment from the right providers. Most hospitals and health systems rely solely on patient identification procedures that require healthcare staff to use two pieces of patient information, such as full name and date of birth, to match patients to their medical records. However, in today’s bustling healthcare atmosphere, it can be easy for healthcare staff to forget to perform proper patient identification procedures. And, many patients do not speak English, are unconscious or have similar names and birth dates, all of which increase the risk of medical mix-ups. 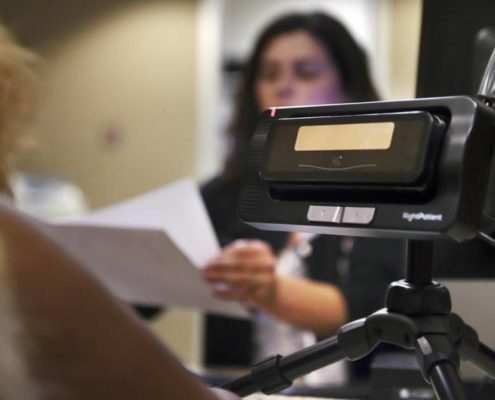 Healthcare regulators and public health officials are increasingly sending the message to hospitals and health systems that the time to make changes to patient identification procedures is now—before a potentially disastrous mistake occurs. By implementing the RightPatient system, hospitals can eliminate patient identification guesswork for healthcare staff. That’s because the RightPatient system captures a photo of each patient upon admission to the hospital. 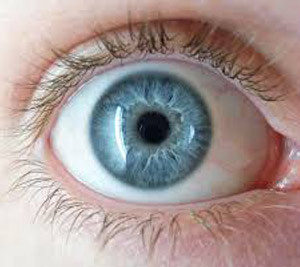 After the patient is enrolled in the system, the patient’s medical record is locked and can only be opened using the patient’s unique biometric identifiers. The system can be installed on any smartphone or tablet, making it portable enough to meet the unique needs of staff and patients. Although hospitals are spending millions of dollars on electronic health record systems, population health software and other advanced equipment to protect patients and streamline operations, most of these systems overlook a fundamental aspect of patient safety: Ensuring that healthcare staff are accessing the right records and providing the right care to the right patient. The bottom line is that healthcare consumers go to hospitals to get well and hard-working doctors and nurses do everything in their power to make that happen. When patients are not identified correctly, bad things happen. The sad fact is that one simple medical record mix-up resulting from a patient mismatch is all that it takes to throw a patient and their family into distress, negate the hard work and dedication of the doctors and nurses who are trying to help, and damage the reputation of the hospital where the incident occurred. With RightPatient, all that is required to eliminate these risks is a simple snap of a camera when a patient walks into the hospital. That doesn’t sound like too much to ask, does it? The following guest post on protecting patient data was submitted by Heather Lomax. Communication efforts in the last few years have greatly advanced between doctor and patient. Instead of having patients drive out for a visit or make drawn-out phone calls every time something needs to be discussed, some doctors’ offices have started to use online portals and email correspondence with patients. These options are extremely efficient, but they also place patients at a higher risk of medical identity theft. Therefore, special measurements need to be taken in safely transmitting patient data. First and foremost, patients need to make sure their devices are encrypted when they access medical data. Not operating on such a system places data at risk for theft with ease. Therefore, portals offering medical data need to be encrypted as well. Patients should be made aware that if their computers at home are not secure, then they place their data at risk there as well. Sending patients emails also requires another degree of encryption. Several types of emails exist when it comes to safely transmitting data information with patients. For web-based email applications, doctors’ offices and patients alike need to use accounts with HTTPS encryption. This method is the only means by which web-based email is secure. The email is sent to a patient should also be encrypted using either PGP encryption methods or Symantec Digital IDs. In both of these aspects, each email comes with its encryption. HIPAA regulations make specific claims about how data should be transmitted between office and patient. One of the methods to use for this communication relies on cloud services for both faxes and emails. These cloud services have their own firewalls and encryption procedures, and they make certain that data only goes to a specific location. More often than not, a specific receiver has to acknowledge that they accept a fax. A VPN access code can be used for this process. As passwords become obsolete and even unsafe for healthcare data security, biometric identification is steadily rising in practice when it comes to accessing sensitive information. With passwords comes the potential of breaches in security, even with the most carefully crafted codes. However, with the use of fingerprint analysis, retina scans, and facial recognition software, it’s nearly impossible for identity fraud to take place since these characteristics cannot simply be imitated. 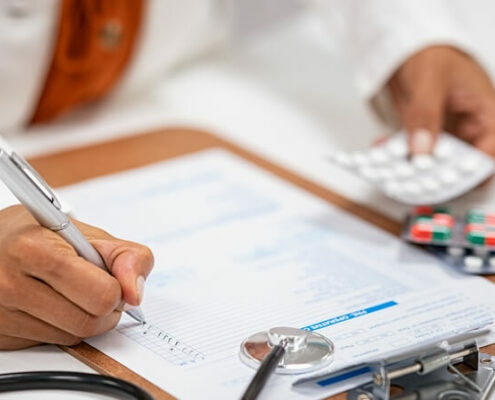 And not only does it reduce the risk of billing fraud – it also prevents deadly medication errors, improves response rates to medical emergencies, and expedites health information exchange services (which will be discussed in the next section). When in doubt, doctors’ offices should use three, distinct methods of Health Information Exchange (HIE) with patients and other medical offices. The first type is directed change, where data can be sent and received securely through an electronic medium between providers and coordinated support care. The second option is a query-based exchange, which offers providers the opportunity to find and request information from patients and other providers when unplanned care takes place. Finally, doctors’ offices can use consumer mediated exchanges, a method which allows patients to have control over data and how it is used among different providers. A great deal of options is available when it comes to transmitting electronic patient data. Rather than rely on flimsy means of protection, alternative options with tighter security like encrypted care, biometric identification, and HIE paths should be implemented instead. If your practice or hospital can introduce even one of these methods as part of their data transfer strategies, you’ll notice a great improvement in workplace efficiency as well as security for your patients. Heather Lomax is a contributing writer and media relations specialist for Blaze Systems. She writes articles for a variety of medtech blogs, discussing solutions for optimizing healthcare data protection and clinical technology. Hospitals are generally considered to be a place to seek refuge — a safe haven for both employees and patients alike. Unfortunately, this isn’t always the case. Incidents of medical identity theft are becoming more and more common. Issues involving improper use and disposal of data, hacking, and theft result in not only adverse financial consequences but can also even have negative impacts on healthcare and personal well-being. 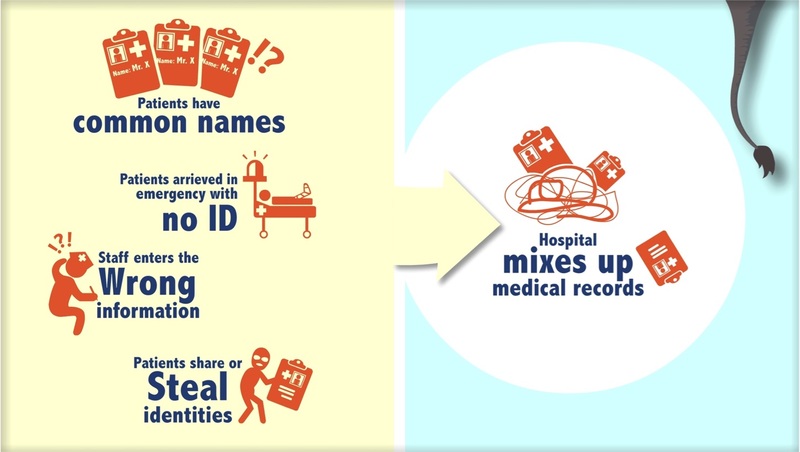 Identity theft is something that every hospital needs to be aware of and prepared for — these steps can be helpful in preventing medical identity theft and ultimately reducing your hospital’s risk. The use and storage of patient’s social security numbers is the main source of vulnerability when it comes to identity theft. Data breaches and entry errors can mean that a patient’s information can fall into the wrong hands — compromising the safety of both the individual and the hospital itself. While much of the fraudulent use of patient information comes from stolen or leaked data, verbal or physical forms of sensitive patient information can also end up in the wrong hands. Hospital employees should take care to never discuss patient information in public areas, or with friends and families. In addition, physical forms including patient charts and records (even if they only contain the name of the patient) should be safely used and stored. Every health organization should take necessary measures in order to ensure the safety and security of patient information. An investment in appropriate health IT may be costly up front, but it could end up providing endless savings — both financial, and otherwise — in the long run. Additionally, the use of a unique health safety identifier (UHSI) is a great measure to strengthen information and data security, with positive results extending all the way to the patient. While many healthcare providers perceive that patient information — including social security numbers — must be stored for billing and insurance purposes, this simply isn’t the case. The storage of sensitive information (like social security numbers) isn’t always needed, and unnecessarily doing so may pose a risk for the patient and the hospital. Just as sensitive information should not be stored unless absolutely necessary, it is also imperative that patient information be disposed of in a responsible manner. Outdated or unused medical information, forms, and billing data should be shred or erased completely when no longer needed. In any healthcare setting, it is beneficial to have a diverse team of leaders that comes together to regularly review and assess security issues and vulnerabilities. By raising awareness and discussing perceived risks, hospital leaders can be well-informed when it comes to making decisions and implementing efforts to reduce risks and protect sensitive information. Not only can an advisory committee help prevent against identity theft, but the designated team of experts can be essential in addressing issues promptly and adequately. Utilization of an inventory system that tracks all processes and systems that contributed to the security breach can allow for the hospital to pinpoint the weaknesses and make necessary improvements. Once an issue is discovered, the advisory committee will be better prepared to — while looking at the data inventory — prioritize areas of concern and make adjustments that are needed. As many hospitals strive to do the best they possibly can when it comes to securing patient information, actually sharing statistics and suggestions with the patients themselves can further improve the security of that information. Patients should be encouraged to keep their cards and information in a safe place and should be told to take caution when sharing sensitive details. Patient participation is crucial when it comes to combating identity theft and security tips and suggestions can be posted as signs throughout the hospital — or given to the patients in a brochure. Medical identity theft is increasingly becoming a great threat to the safety of patients and health care providers. While there are many ways that patient information can end up in the wrong hands, there are fortunately many ways that both hospitals and patients can prevent this from happening. By working together and considering these tips, hospital staff members can ensure that the information of their patients can remain as secure as possible. Joanna Sommer is the Senior Editor for InformedMag and is passionate about security and tech. She has been working in the home safety and security field for 5 years. Joanna loves to travel and enjoys going to hot yoga and Barre classes. She is dedicated to creating articles that both educate and help people make an informed purchasing decision. Patient identification “innovation” is defined by the ability to address both present and future complexities and nuances of patient behaviors. I get it. Change is hard. It’s human nature to resist change, yet as we are often reminded, true progress in life comes when we step “outside the box” and “outside of our comfort zone” to change our perspective and foster growth (thank you mom and dad for that advice) Despite our inherent inability to accept it, change is inevitable and a fact of life. Anywhere you look around, change exists in one form or another and there is little doubt that change can be challenging. In the healthcare industry, patient identification as we know it is going through radical changes. 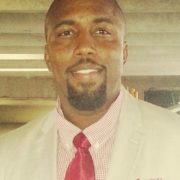 While this may have been breaking news a few years ago, most in the industry are now well aware that traditional patient identification methods are no longer effective and have the potential to place a patient in harm’s way via medical errors, duplicate records, and medical identity theft. As more healthcare organizations recognize and understand the importance of abandoning antiquated patient ID procedures in favor of more modern, secure technology to improve patient safety I think it’s important to put into context what it actually means to be “innovative” in patient identification. 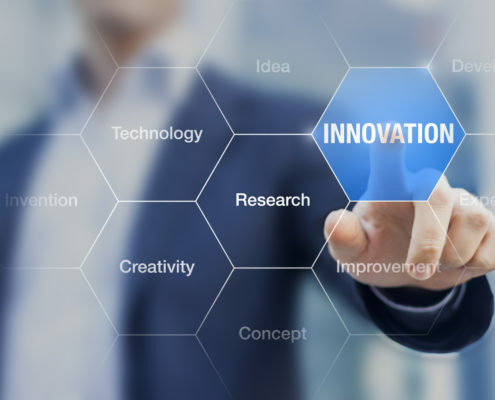 In other words, I often see the word “innovative” used to describe technology solutions built to only address one facet of patient ID instead of being designed to not only address the complexities of today’s environment, but also equipped to cover the challenges of patient identification in the future. I recently wrote a post for Health Data Management where I discuss how the behavior of current and future generations plays an important role in designing patient ID technology that has the capability to ID a patient no matter where they enter and exit along the care continuum. This is an important innovation “ingredient” that must be built into any modern patient identification solution and any technology that limits where and when healthcare organizations can accurately identify a patient is simply not innovative. How does RightPatient define patient identification innovation? I’m glad you asked. When we began our patient identification technology solution journey a few years ago we understood a key fact that is often overlooked and frequently not factored into the discussion and analysis of platforms designed to address the complexities of today’s patient ID environment. That simple fact is that the digitization of the industry has broke down traditional barriers of where and when a patient can either receive care along the continuum or access protected health information (PHI). Patients seeking care or data access no longer see brick and mortar healthcare facilities as the first and only place where they can consume healthcare. 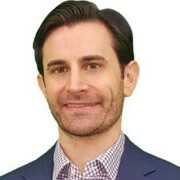 The dawn of patient portals, telemedicine, connected health apps, and other virtual environments has fundamentally altered healthcare consumption by shifting care from traditional environments to virtual ones. For many patients, the first thought when they seek care or data access is to grab their phone, or login to their PC or tablet instead of hopping in their car and driving to the doctor’s office or local emergency department (ED). To us, innovation is bringing to market a patient identification solution that has the capability to truly address patient identification at ANY point along the care continuum, brick and mortar OR virtual environments. The RightPatient team was recently honored to be named a finalist in the CHIME National Patient ID Challenge. This is a true testament to the viability of our biometric patient identification solution and it should be noted that RightPatient was the only entry submitted from an individual/vendor who currently has customers actively using the technology in the healthcare market. 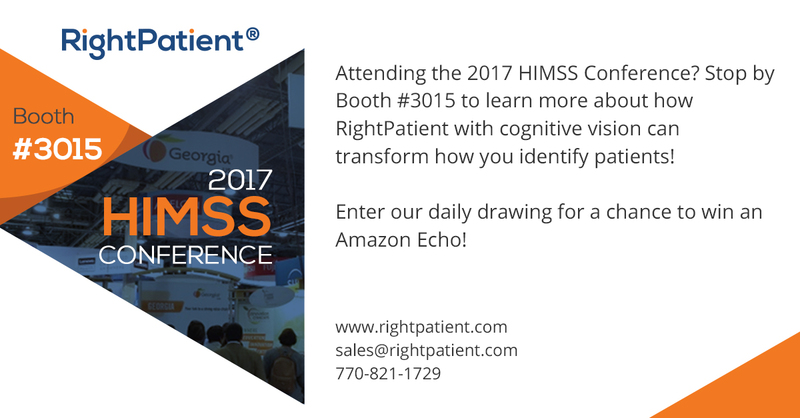 We officially launched the RightPatient Smart App during this year’s HIMSS show, which turns any smartphone or tablet into a powerful recognition device. The RightPatient Smart App uses augmented reality and deep learning to identify patients, can quickly and easily identify unconscious patients, allows clinicians to verify a patient’s identity bedside prior to medical procedures, and has the potential to drastically improve patient safety and reduce the risk of adverse events. We built the RightPatient platform to enable healthcare organizations to capture a high resolution image of the patient during the enrollment and identification process. This photo is immediately linked to the patient’s unique medical record and subsequently stored in our cloud environment, following them wherever they go within the care continuum. The photo allows healthcare organizations to verify a patient’s identity in virtual environments (e.g. 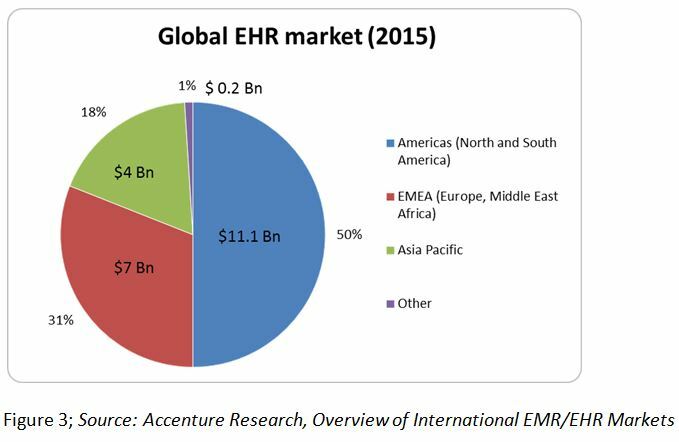 telemedicine, patient portals) outside of brick and mortar settings. After all, the value of any patient identification technology rests in its ability to accurately ID a patient, no matter where they are. Patient photos also help to humanize health IT by putting a face to a name. Many of our existing customers have commented that the patient’s photo helps them to personalize their approach and make patients feel safer and more comfortable. The RightPatient patient identification solution uses photo biometrics to identify patients, a non-contact, hygienic form of biometrics that supports hospital infection control policies. Considering the increased attention on managing infection control in healthcare by keeping hands clean, we understood that patient ID innovation meant offering a solution to providers where a patient does not have to make physical contact with a biometric hardware device to avoid the spread of germs and illness. We continue to innovate and evolve parallel to the rising challenges of establishing accurate patient ID in healthcare. For us, understanding the true meaning of patient ID innovation means designing and building a solution that not only address today’s obstacles and complexities, but has the flexibility to adapt to the challenges of tomorrow. For a free, no obligation demo of the RightPatient patient identification solution, please contact us. Working to help increase patient safety in healthcare, Community Medical Centers (CMC) in Fresno, CA knew that implementing RightPatient using photo biometrics for patient identification was a step in the right direction. 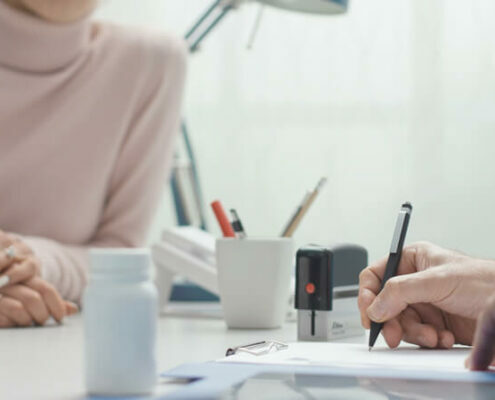 With a quick snap of a camera, patients can now rest assured that their medical identities are protected and clinicians will always have the most up-to-date, comprehensive medical record in their possession during treatment and care. RightPatient helps establish accurate patient identification to ensure proper billing at CMC with the potential to drastically reduce chart corrections and increase CMC’s revenue collections. This is often an overlooked benefit of implementing biometrics for patient ID in healthcare. Are you seeking to improve patient safety, reduce the time and money spent reconciling chart corrections, and increase revenue? RightPatient may be the answer. Contact us today for a free demo and let us help direct you on the path of accurate patient ID so you can realize the benefits of other healthcare organizations using photo biometrics. 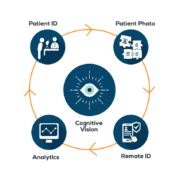 We offer a “holistic” approach to patient ID in healthcare through an intuitive solution that has the ability to identify patients no matter where they are along the care continuum. It is well known that accurate patient identification in healthcare is a key linchpin for safe and effective care delivery. Traditionally defined as the ability to accurately identify a patient during a physical trip to the hospital or doctor’s office, the rapid digitization of healthcare has opened up a host of new touchpoints along the care continuum, creating a strong need for healthcare organizations to re-think their approach and evolve to a patient identification strategy beyond collecting a government issued ID, insurance cards and patient demographics. Many are evaluating the use of biometrics to improve patient identification accuracy and patient safety. In other words, healthcare organizations must now address patient ID in a “holistic” manner — adopting versatile technology that can be used at any point along the care continuum, no matter where a patient seeks care or access to protected health information (PHI). As the healthcare industry transitions to value-based care, there is no arguing that the increase in new patient touchpoints along the care continuum has increased convenience and efficiency. 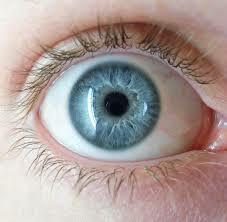 However, it also raises new risks that can quickly pollute data integrity and endanger patient safety. Investing in a biometrc patient ID solution that covers in-person visits is smart, but without the ability to quickly scale the technology and cover the new touchpoints mentioned above, it can be a huge risk to healthcare organizations. We approach the patient ID challenge from a different angle. Instead of pushing a biometric solution that limits healthcare providers to verifying patient identities when they arrive for an appointment or emergency, our patient identification platform uses biometrics, cognitive intelligence and deep learning to recognize patients at provider sites, during virtual encounters (e.g. patient portals, telemedicine) and in care environments outside of a hospital, clinic or doctor’s office. 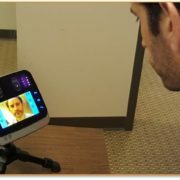 A patient takes “selfie” photo with a non-contact camera, which can be used for subsequent authentication at any point along the care continuum. We extend the flexibility of our intuitive and best-of-breed patient ID platform through PatientLens™ which turns any off-the-shelf smartphone or tablet into a reliable patient identification tool, empowering clinicians to accurately identify patients through its combination of facial recognition and deep learning capabilities. Designed to quickly identify a patient by using the camera on any smart device, PatientLens™ reduces risk and improves quality by enabling clinicians to easily and accurately verify patient identities, even when they are unconscious. The inability to accurately identify a patient throughout the care continuum is a huge risk for healthcare providers. Healthcare digitization and the explosion of virtual access to data and care necessitates a more “holistic” approach to patient identification. This will improve patient safety and reduce provider costs while preventing the risk of data breach and adverse health events. 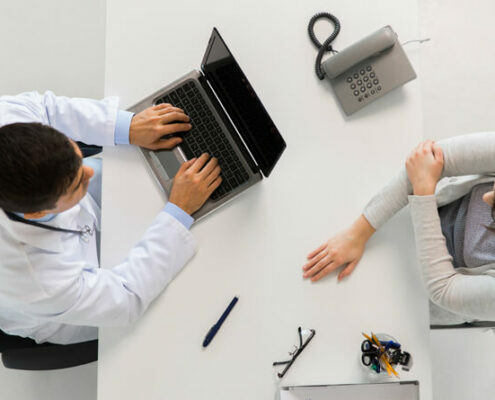 Healthcare organizations need a versatile, scalable solution with seamless EHR integration that removes the IT burden during implementation and offers a flexible adoption model. If you have been thinking about adopting biometrics for patient identification for your organization and want to learn more about our solution and how we are revolutionizing this critical part of effective and safe care delivery, please visit us at HIMSS in Booth 3015 to see a demo and learn more. Can’t make it by our booth? Please join us for a beverage at the Georgia HIMSS Chapter reception and sign up here for the event. Preventing patient fraud begins with a thorough understanding of how to protect your identity. 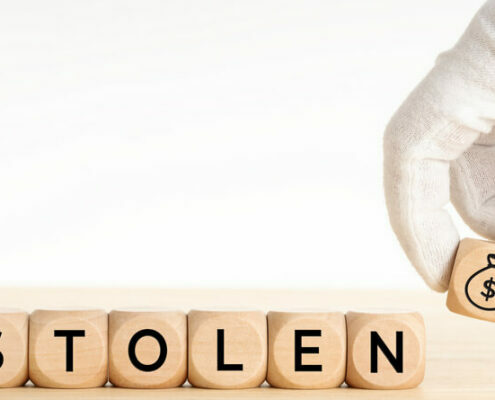 The following post on preventing medical ID theft and patient fraud in healthcare was submitted by Meghan Belnap. In this digital age, we can purchase anything with a click, transfer money from one bank account to another in a split second, and reconnect with people from anywhere in the world. There are so many great advantages to the internet age but unfortunately, there are serious drawbacks as well. Hackers are skilled at decoding passwords. If the one you use is not a unique combination of numbers, letters, and symbols, you are putting yourself at a higher risk. If your password is still hacked from one site, it is important that you are not also handing them your password for everything else as well. For example, if your patient portal account password is fraudulently obtained, you do not want that to also be the password you use for your bank account. It requires keeping track of numerous passwords, but it is worth it to use different ones for each site you log in to within your digital health network. Card skimmers are very popular tools used by crooks to gain access to your account information. Each time you swipe a debit or credit card at a hospital or any other A.T.M. machine or gas pump, the machine reads the information stored on the black strip on the back of the card. This houses important information and it is all a hacker needs to wipe out your bank account. When you approach these machines, look at them closely. Does the area that you insert the card into seem loose or ill-fitting in any way? Does the paint color and material of it match the surrounding area? If not, there may be a skimming device attached to the machine. If you are suspicious, try giving it a tug. Is it loose? If you experience this, contact local law enforcement right away. If you have access to online banking, take advantage of it. Set up alerts that notify you when funds have been used over a certain amount or in ways unusual for your typical spending patterns. Keep an eye on your cards at all times. Statistics show that on average over 12 million U.S citizens identify as fraud victims annually. Professional FBI experts who are board certified behavior analysts specialize in investigative criminal or terrorist actions. While help is offered to those that are victim of patient fraud and identity theft, take the extra precautions to keep yourself safe by implementing smart daily precautions. There are a variety of resources available at your convenience which specialize in monitoring your social security number, name, and other personal information that could be used for patient fraud or identity theft. Most companies charge a fee to provide this service but if it prevents even one breach, it will be money well spent. While there are numerous ways someone can gain access to your personal information, there are by far more things you can do to prevent it. Be cautious with your private details. Keep things secure both online and physically with the proper protection required. Whether it’s a safe box in your closet to keep your social security card, health insurance ID, birth certificates and other documents out of reach, or strong passwords that keep hackers out of accounts, it is possible to avoid patient fraud.